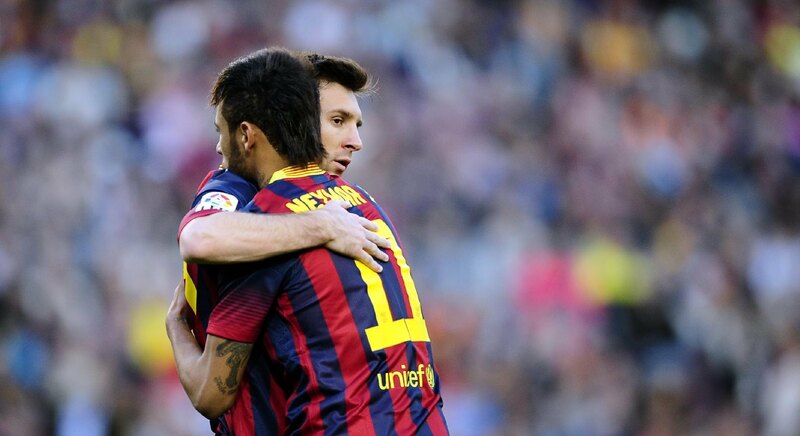 Neymar: "Messi surprised me positively at all levels"
Neymar: “Messi surprised me at all levels! Before I got here, I had heard some terrible things about him, that he was very shy, reserved and that he didn’t talk with anyone. But once I had the chance to meet him, I realized that’s not accurate at all… Besides being a genius on the pitch, out of it he’s also 100% supportive with me. And that doesn’t happen only with me, because I also see how well he treats other people and that already tells much about him. I don’t have a single bad thing to say about him”, revealed the 22-year old forward in a talk with the sports magazine “Red Bulletin“. As for his first season in Barça, Neymar prefers to focus on the bright side of the experience rather than the disappointments that came to surface when all the major titles slipped away at the end of the year. Neymar: “My first season wasn’t perfect but it also wasn’t that bad. This is the first time I live out of Brazil and I really missed my family and my friends. It was hard in the beginning, but I ended up growing and learning a lot both at a personal level and as a football player. I try to emulate a few things from many players here and adapt them to my type of game. 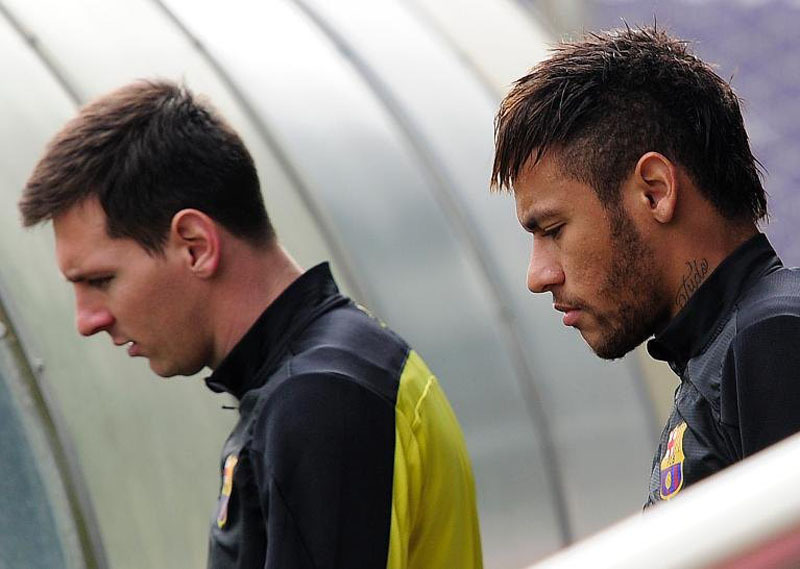 Some of my teammates are extremely good in games, others are just superb in training. I simply try to take out the best of each one in order to develop as a player. With the 2014 FIFA World Cup starting tomorrow and a Brazil vs Croatia set to be disputed at the “Arena de São Paulo“, Neymar also noted that he doesn’t feel over-pressured. Neymar: “I don’t feel much pressure since everyone keeps saying that winning the World Cup is a tremendous joy and just want to have a chance to get that feeling too. I just want to be able to shout: ‘I’m a champion!’ The press has been following my footsteps ever since I was 13 years old, so I’m already very used to this kind of pressure. People may judge me from what they see on the television, but I’m a completely different person than the one they see on the screen. 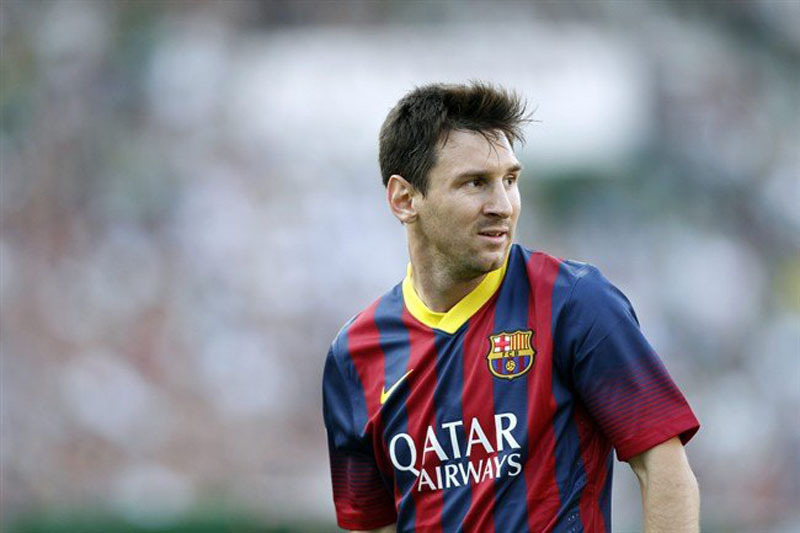 I don’t feel any pressure at all…”, assured Brazil’s main star for the upcoming World Cup.